Clarinetist J. David Harris has won critical acclaim for his elegant and expressive playing. As the principal clarinetist with Sinfonia da Camera, Illinois Symphony Orchestra, and the Champaign-Urbana Symphony, Harris combines technical mastery, depth of musicality, and a solid ensemble style to his playing. In addition, he has been featured as a soloist, performing many of the standard concerti by Weber, Mozart, Nielsen, and Bernstein among others. Professor Harris joined the University of Illinois at Urbana-Champaign music faculty in 1990. Prior to that, he served on the faculties of Louisiana State University, Kent State University, and Interlochen Arts Academy. Celebrating his thirtieth year as a university Professor, Harris' success as a teacher is found in his students who hold positions in universities and orchestras across the country. During the summers, he has performed and taught at many music festivals including Sewanee Summer Music Center in Tennessee, Peninsula Music Festival in Wisconsin, Great Music West in Wyoming and Ohio Light Opera in Wooster, Ohio. From 1973 to l983 Harris performed over 100 concerts with the Cleveland Orchestra under such notable conductors as Lorin Maazel, Pierre Boulez, James Levine and Eric Leinsdorf in some of the world's greatest venues such as Carnegie Hall in New York, Severance Hall in Cleveland, Symphony Hall in Boston, and the grand opening ceremonies at the Sydney Opera House in Australia. Harris can be heard as the bass clarinetist in the Telarc recording of Stravinsky's Rite of Spring with the Cleveland Orchestra, conducted by Lorin Maazel. Under the baton of Frederick Fennell, Mr. Harris is the featured first clarinetist on the highly acclaimed recordings of the Cleveland Symphonic Winds. In the summer of 2001, Harris served as the president of the Clarinet Jury for the Juenesse Musicales International Clarinet Competition in Bucharest, Romania and performed a solo recital at the American Cultural Center. Harris is an active member in several clarinet societies and has been a featured performer in national and international venues for the International Clarinet Society Congress, Clarinetwork International, and the International Double Reed Society. In the summer of 2006 Harris was a featured soloist at the International Clarinet Association's ClarFest in Atlanta, Ga. As a member of the Illinois Quartet, along with colleagues, bassoonist Timothy McGovern, flutist Jonathan Keeble, and oboist John Dee, Mr. Harris toured the southeastern United States, South Korea, and Spain during the 2006 season, giving a series of master classes and concerts. Dr. Janice L. Minor enjoys an active career as a solo recitalist, chamber musician, orchestral player, clinician, and music educator. She has performed and appeared in a wide variety of venues and festivals throughout the United States and Europe including the John F. Kennedy Center for the Performing Arts, the Rococo Theater in Schwetzingen Germany, the Puccini Theater in Italy, the Interlochen Center for the Arts, the Aspen, Staunton and Music at Penns Woods Music Festivals, as well as the Lucca Music Festival in Italy and the Saarburger Serenaden: International Music Festival in Germany. National and international conference appearances include performances and clinics at the International Clarinet Association/ClarinetFest, the University of Oklahoma Clarinet Symposium, the National Flute Association, the International Double Reed Society Conference, and The Midwest Clinic: An International Band and Orchestra Conference. Solo appearances with orchestras/wind ensembles include the United States Army Europe Band in Heidelberg, Germany, the Lucca Festival Orchestra in Lucca, Italy, the United States Army Band “Pershing’s Own,” the Cincinnati Eighteenth Century Ensemble, and the Northwest Symphony Orchestra. As an orchestral player, she has performed with the Cincinnati Symphony Orchestra, Cincinnati Pops, Cincinnati Opera, Richmond Symphony Orchestra, Roanoke Symphony Orchestra, Opera Roanoke and performed on soundtracks for The Discovery Channel and National Geographic. A native of Long Island, New York, Dr. Minor began her formal clarinet studies attending the Juilliard School of Music Preparatory Division. She earned a Bachelor of Fine Arts degree from the State University of New York-Purchase College where she studied with Ben Armato of the Metropolitan Opera Orchestra. She graduated from Northwestern University with a double Master of Music degree, receiving high honors, Pi Kappa Lambda, in music performance and music education, where she studied with Clark Brody and Robert Marcellus. Dr. Minor worked with Chicago Symphony Orchestra clarinetists, Larry Combs and John Bruce Yeh, while earning an Artist Diploma from DePaul University. She was awarded the teaching assistantship at the University of Cincinnati College-Conservatory of Music where she earned a Doctor of Musical Arts degree studying with Ronald de Kant. Dedicated to her role as artist-teacher, Dr. Minor is a passionate educator who is frequently invited to present master classes and clinics throughout the country and abroad. She is currently on the clarinet faculty at the University of Illinois at Urbana-Champaign and has a successful private clarinet studio in the Chicagoland area. Her previous teaching positions include Clarinet Professor at James Madison University in Harrisonburg, Virginia, the Saarburger Serenaden: International Music Festival and School in Saarburg, Germany, the University of Cincinnati College-Conservatory of Music, Long Island Univeristy- Post, Department of Music. Janice L. Minor is a Buffet Crampon U.S.A. and D'Addario performing artist-clinician performing exclusively on Buffet Crampon clarinets and D'Addario woodwind products. Her recently released CD The Recital Clarinetist with pianist Paulo Steinberg is available on Amazon, iTunes, Summit Records website and several national and international music distributors. Please visit www.janicelminor.com for more information. 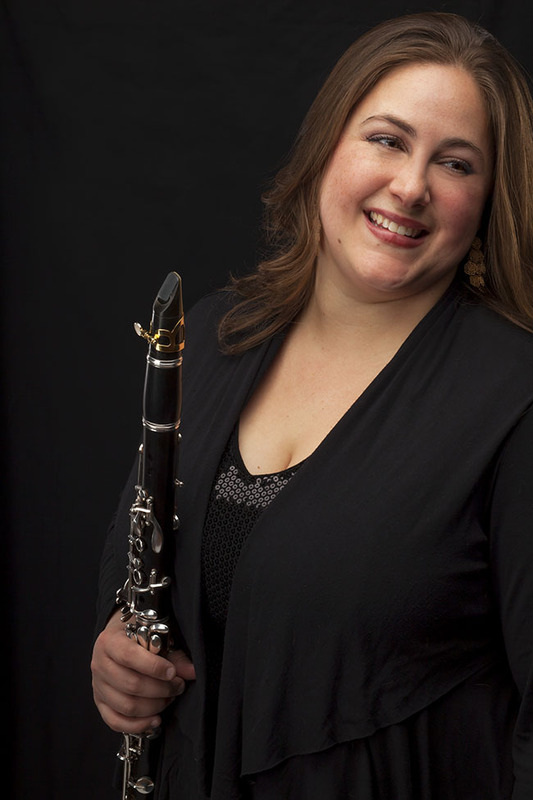 Andrea R. DiOrio is among Chicago’s most highly sought after clarinetists. DiOrio has performed in over fifteen operas with the Chicago Lyric Opera Orchestra. She has also performed with many orchestras, including the Grant Park Orchestra, Chicago Philharmonic, Quad Cities Symphony Orchestra, Chicago Opera Theater, Elgin Symphony Orchestra, Ravinia Festival Orchestra, Illinois Philharmonic Orchestra, South Bend Symphony Orchestra, and Elmhurst Symphony Orchestra. In addition to her orchestral work, Andrea is the Director of Operations and clarinetist of the mixed chamber ensemble, Picosa. The ensemble consists of flute, clarinet, violin, cello, piano and composer-in-residence and is in residence at Elmhurst College, Roosevelt University and North Central College. Picosa is committed to performing virtuosic chamber music while showcasing Chicago composers and rising musicians. DiOrio is also a core member of the Chicago Clarinet Ensemble and a former member of the MAVerick Ensemble, where she served as clarinetist and Artistic Administrator. With MAVerick, she participated in dozens of world premieres. DiOrio has been recognized as a top pedagogue as well. In 2014, DiOrio’s presentations on the topic of “A New Twist on Clarinet Methods” were presented to a full house at the Illinois Music Educator’s Association State Conference and as a webinar for the National Association for Music Education Learning Network. DiOrio currently serves as Clarinet Instructor at North Central College, a position she has held since 2010. DiOrio is a Senior Lecturer for Benedictine University’s School of Graduate, Adult and Professional Education where she teaches Music Appreciation course and writes curriculum. DiOrio is Co-Director of the Illinois Summer Youth Music Pre-College Clarinet Camp with J. David Harris at the University of Illinois. She has previously served in the music departments of Benedictine University and Loyola University Chicago. DiOrio earned a Master of Music Performance in Clarinet from Northwestern University, where she studied with Russell Dagon, and a Bachelor of Music Performance in Clarinet, with honors from the University of Illinois at Urbana-Champaign, where she studied with J. David Harris. DiOrio also studied with Charlene Zimmerman and John Bruce Yeh. She feels very fortunate to have had such great teachers and mentors, and is delighted to have the opportunity to pass on what she has learned to all of her students. She and her husband, Tony, live in Naperville with their baby girl, Penelope and dog, Sousa. 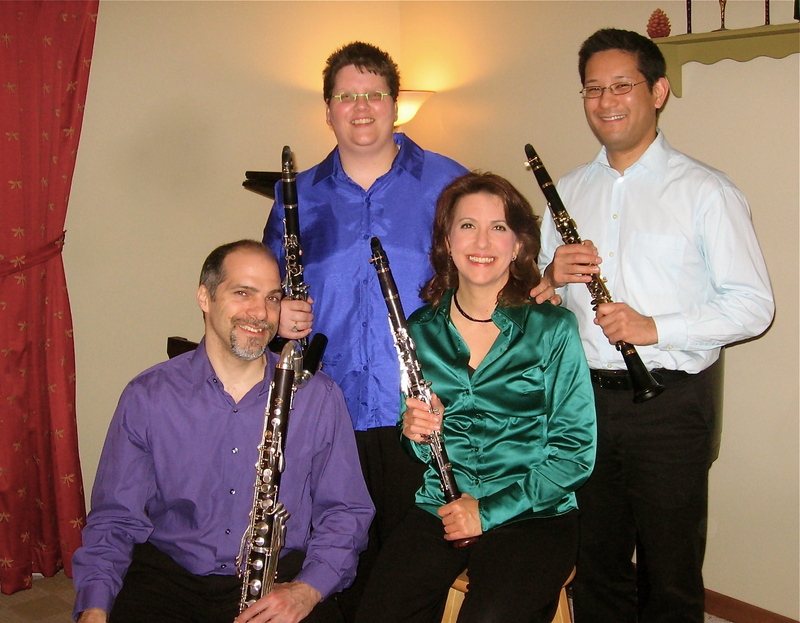 Founded in 1995 at the University of Cincinnati College-Conservatory of Music, this group of four versatile clarinetists is armed with a wide array of exciting repertoire performing recitals and conducting clinics and master classes throughout the United States. Each of the quartet’s members is active as an orchestral player, solo recitalist, chamber musician, clinician, and music educator. For two consecutive years, The Prestige Quartet was the winner of the WGUC-90.9 FM (Cincinnati, Ohio) Young Artists Program, featuring the ensemble on live radio broadcasts. A winner of the International Clarinet Association’s Recording Competition, the quartet’s performance of Augustin Kubizek’s Three Sketches op. 44/2 is available on the “Music from the ICA” compact disk. The Prestige Clarinet Quartet has been a featured Guest Artist Ensemble at numerous colleges and universities, the Ohio Music Education Association Conference, the Midwest Clinic: An International Band and Orchestra Conference, the International Clarinet Association: ClarinetFest in Ohio, Georgia, Missouri, California, Louisiana, and Florida, the University of Oklahoma Clarinet Symposium, the Interlochen Arts Academy, and the Bayview Music Festival in Michigan. Dr. Anthony J. Costa: (Clarinet/Bass Clarinet) is Associate Professor of Clarinet at Penn State and clarinetist with the Pennsylvania Centre Orchestra and Prestige Clarinet Quartet. He was the recipient of the 2016 College of Arts and Architecture Faculty Award for Outstanding Teaching. 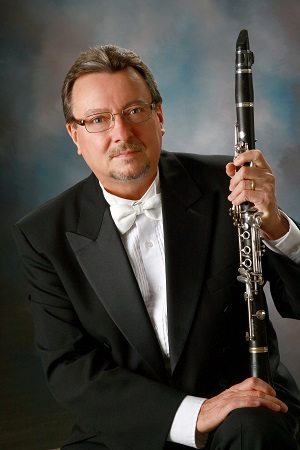 Costa served as clarinetist/bass clarinetist with the Dayton Philharmonic (OH) from 1999-2011, and has been a featured performer throughout the United States and Europe at the International Clarinet Association’s ClarinetFest (1998, 2006, 2008, 2011-2016), International Double Reed Society’s conference (2007, 2011), and the Oklahoma Clarinet Symposium (2005, 2008). He has collaborated with composers Paul Chihara, John Corigliano, Gunther Schuller, John Harbison, Osvaldo Golijov, Eric Mandat, Andrea Clearfield, and Rick Sowash. Recent solo performances include: Scott McAllister’s Concerto X, Michael Daugherty’s Brooklyn Bridge, and Donald Crockett’s Dance Concerto with PSU’s Symphonic Wind Ensemble; the Artie Shaw Concerto and Carl Maria von Weber Concerto No. 1 with the Nittany Valley Symphony (PA); and the W. A. Mozart Clarinet Concerto with the PSU Chamber Orchestra. In 2010, Costa presented a recital with the Chihara Trio (Timothy Deighton, viola; Enrico Elisi, piano) at Carnegie Hall’s Weill Recital Hall. The trio is featured on Paul Chihara’s “Love Music” (Albany Records, Troy 1290). Please visit www.personal.psu.edu/ajc26/ for more information. Dr. Janice L. Minor: (Clarinet/E-flat Clarinet) Refer to above bio. John Kurokawa: (Clarinet) currently performs as Principal Clarinetist of the Dayton Philharmonic Orchestra. He has been a featured soloist, performing the works of Mozart, John Williams, Gerald Finzi, and John Adams. Additional solo appearances include the WSU Chamber Orchestra and most recently, the Dayton Bach Society and the WSU Wind Symphony performing Michael Daugherty's Brooklyn Bridge for solo clarinet and wind ensemble. In the summer Kurokawa performs as Principal Clarinetist of the Cincinnati Chamber Orchestra's festival, 'Summermusik' and has also performed as guest Eb clarinetist and guest Principal Clarinetist with the Cincinnati Symphony Orchestra. Kurokawa is also the Instructor of Clarinet at Wright State University; in addition to teaching applied clarinet, he teaches courses in woodwind chamber music, woodwind pedagogy, and music technology. An avid chamber musician, he performs with the Dayton Philharmonic Woodwind Quintet and the Prestige Clarinet Quartet, which has been a featured ensemble at the Oklahoma Clarinet Symposium, International Clarinet Association Clarinetfest, Midwest Band and Orchestra Clinic and Ohio Music Education Association Conference.. Kurokawa holds the B.M. in woodwind performance from Bowling Green State University and the M.M. in clarinet performance from the University of Cincinnati College-Conservatory of Music. He performs exclusively on the Yamaha CSVR Clarinet and Custom 881 Eb Clarinet and is a Yamaha Performing Artist. Sarah Nowlin (Clarinet) is the former Director of Bands at The Summit Country Day School in Cincinnati, Ohio where she spent 16 years building a successful band program in an independent school environment. She has served as Instructor of Clarinet, and Director of Intermediate Bands at the Interlochen Arts Academy Summer Camp. Ms. Nowlin has performed with the Dayton Philharmonic and Sorg Opera Company. She was also the Instructor of Clarinet at Transylvania University in Lexington, KY and Stivers School for the Arts in Dayton, OH. 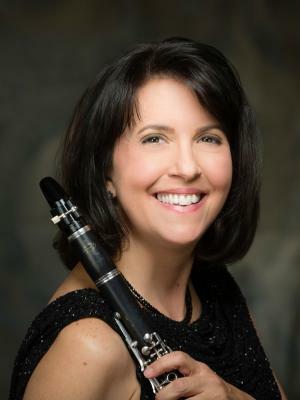 Ms. Nowlin has performed extensively with the Prestige Clarinet Quartet and she has performed at the Oklahoma Clarinet Symposium 1995, 2006, and 2008, and International Clarinet Association Clarinetfest 2008, 2009, 2011. She was chosen as a performer/lecturer at the 1998 International Clarinet Association Clarinetfest, lecturing on Augustin Kubizek’s, Three Sketches op. 44/2, for clarinet quartet. Ms. Nowlin studied with Ronald de Kant, David Etheridge, and Raymond Wheeler.